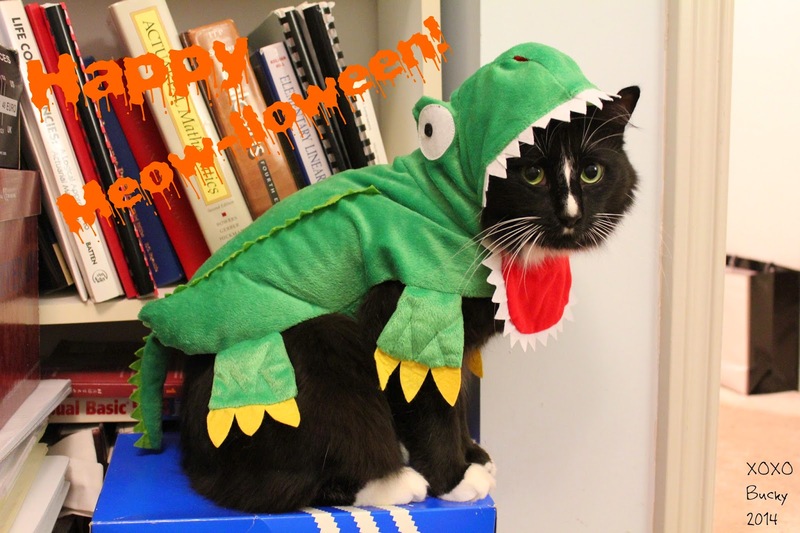 My Examined Life: Happy Meow-lloween! With everything going on lately, this is coming to everyone a bit late but check out Bucky's new Halloween costume this year! Roar! I am the cat-igator!